Click on Chewbacca Mom photo to see Youtube video. It’s easier than it’s ever been to become famous. When a cellphone video goes viral, an individual can gain instant popularity. 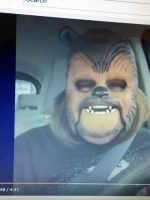 Last May, 37-year-old Candace Payne became an overnight sensation when she filmed herself laughing hysterically, while wearing a Chewbacca mask. The video became so popular, that Payne ended up being featured on Good Morning America and The Late Late Show with James Corden, among countless other appearances. Facebook’s Mark Zuckerberg even invited the Texas mom to visit the social media website’s headquarters. In my formative years before the advent of the Internet, overnight success was almost non-existent. Still, back then a lot of little boys grew up wanting to become a well-known president, and girls dreamed of being a famous movie star or the wife of someone important. When feminism hit in the seventies, a lot of young women also decided they wanted to be president. I’ll bet not too many young people today would desire the notoriety of the oval office, but that’s a whole other column. Celebrity has never been a huge draw for me. Of course, it would be great to win a Pulitzer Prize like poet Sylvia Plath, or a Nobel Peace Prize like civil rights leader Dr. Martin Luther King Jr. Yet like many renowned people, fame exacted a tremendous cost. The brilliant Plath took her own life, and the inspirational Dr. King was senselessly slain for his convictions. Anyway, dependent on the size of your pond, there will always be a more famous fish. More importantly, if you climb to the top of the ladder, there’s a good chance you will have to experience the long climb down more than once. 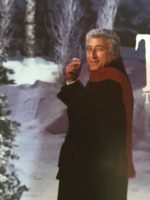 For example, famed singer Tony Bennett was definitely not at the top of his game, when I served him breakfast in the late 1970s. I first saw the musical legend early in the morning, as he sat waiting for a server at the former Cascade Holiday Inn in Akron, Ohio. He was alone, reading his newspaper for what seemed like an eternity, while the small group of waitresses where I worked, argued about who should wait on him. My co-workers seemed awed by his celebrity, so nobody wanted to take his table. I assumed the poor man was hungry, and even though he wasn’t in my section, I volunteered. 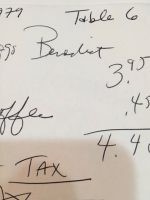 Mr. Bennett needed breakfast, and I was a struggling college student in need of a good tip. Honestly, I had almost no idea who he was. By then, his career was in a downward spiral, and he was on the fast track to becoming a has-been. Two of his mid-seventies albums had failed to gain popular success, and he had parted ways with his record label. I had heard of his 1962 hit, “I left my heart in San Francisco,” but was too young to be impressed. Sadly, I took the singer’s order for Eggs Benedict and served him without even acknowledging that I knew who he was. The talented performer was very polite, and I should have at least complimented him on his incredible voice. Thankfully, Bennett didn’t need my affirmation, because the test of time has proven his enduring talent. By 1986, with a new album and his son as manager, the Italian crooner was back on the map, and more Grammys would eventually follow. The vivacious senior turned 90 last August. Decades since that fated breakfast, he remains an icon among celebrities. For instance, his 2014 CD with Lady Gaga titled, “Cheek to Cheek” won a Grammy for Best Traditional Pop Vocal Album. For me, meeting this amazing performer was a once in a lifetime opportunity. I’ve always regretted my omission of not recognizing the importance of his musical contribution. Especially, when he was at the bottom of his game. So, Tony Bennett, if you somehow get a chance to read this, I would like to publicly apologize for being an ignorant kid, who didn’t realize how much joy your music would give to our world. I think you are the greatest. Can you find it in your heart to forgive me, and would you please autograph a “Holiday Inn” breakfast napkin and send it my way? 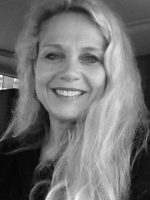 Christina Ryan Claypool is an Amy and Ohio AP award-winning freelance journalist and an inspirational speaker. Contact her through her website at www.christinaryanclaypool.com, especially if you happen to know Tony Bennett, and you can pass along my sincere apology to him. This entry was posted in On the Road Less Traveled and tagged Chewbacca Mom, Christmas, Dr. Martin Luther King Jr., Facebook, fame, Grammy, Lady Gaga, music, Nobel Peace Prize, Pulitzer Prize, Sylvia Plath, The Late Late Show with James Corden, Tony Bennett, viral video, waitress, Youtube by Christina Ryan Claypool. Bookmark the permalink.